A technical blog about open source hardware and software. v0.3.0 of lirc_web has just been published to npm. This release targets mobile optimizations and performance. lirc_web now behaves more like a native app when added to the home screen of a mobile device. A favicon is now shown on the home screen, the URL bar will be hidden from view, and lirc_web will be selectable from the device’s multitasking screen. Furthermore, CSS assets are bundled into a single request, small images are now base64 encoded, and an application cache has been introduced to cache all assets locally between requests. In my testing, with a warm cache, lirc_web now fires a load event within 300ms. * Removing `Makefile` for running tests. Only need `package.json`. New features are documented in the README. On a related note, lirc_node (available at https://github.com/alexbain/lirc_node) has been updated to v0.0.4. There’s no new functionality in this release, simply locked NPM dependency versions and the addition of a change log. If you run into any issues with either project, let me know in the comments or (ideally) via the issues page. In this post, I’m going to cover writing a short script that automatically reconnects a RaspberryPi to a WiFi network. 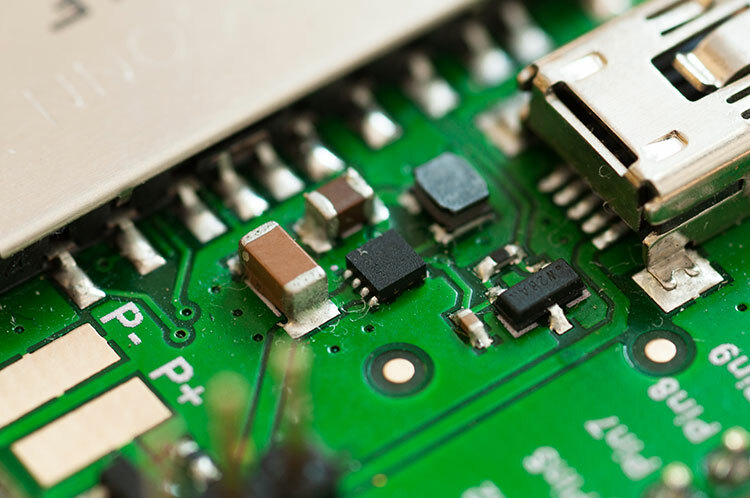 The script will check to see if the Pi has network connectivity and, if it’s offline, will restart the wireless interface to bring it back online. We’ll use cron to schedule the execution of this script at a regular interval. There are a few ways to determine if the RaspberryPi has network connectivity. For this script, we’ll be using ping. 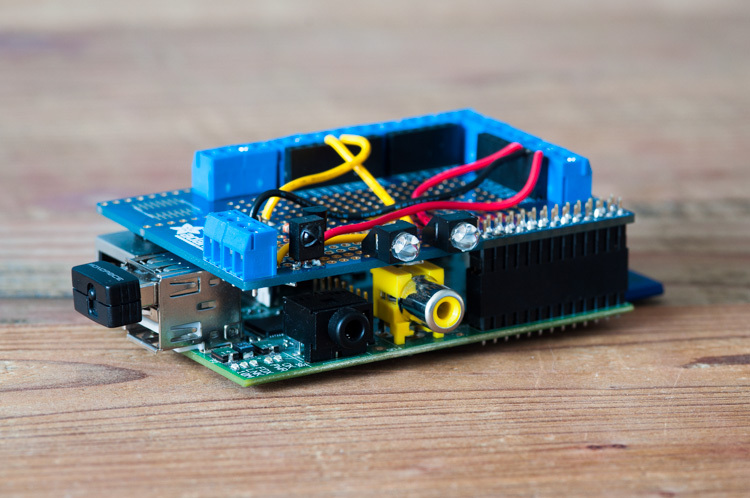 To get started, we’ll need to determine if the RaspberryPi is connected to the network. To do this, we’ll attempt to ping a server and see if we get a response. 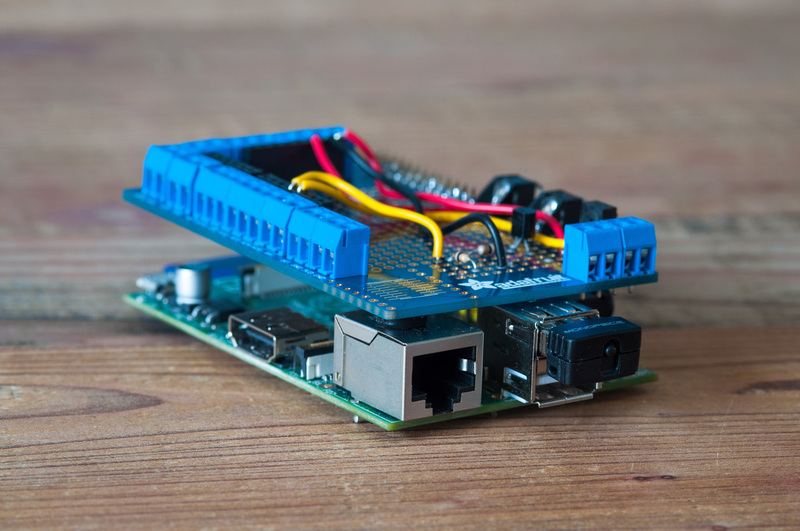 If the command succeeds (RaspberryPi receives a response from the server), we have network connectivity. If the command fails, we’ll turn wlan0 off and back on. To ensure the script runs automatically, we’ll use cron. The frequency that you run this script is a matter of personal preference - I chose to run the script every five minutes. This will ensure that the script is run, as root, every 5 minutes. If you’re unfamiliar with cron syntax, take a look at the cron format. To test that the script works as expected, we are going to take down the wlan0 interface and wait for the script to bring it back up. Before taking down wlan0, you may want to adjust the interval in /etc/crontab to 1 minute. Also, note that this will immediately disconnect you from your shell session. After waiting patiently for ~1 minute, try SSHing back into your RaspberryPi. Assuming everything worked, your RaspberryPi should have automatically reconnected to WiFi. Don’t forget to adjust the interval in /etc/crontab back to a more appropriate value, if you set it to one minute for testing. Hopefully this helps keep your RaspberryPi projects online! If you have any questions, or have an alternative method to suggest, feel free to leave a comment. In this post I’m going to talk about two features I’ve added to the lirc_web project. lirc_web is a NodeJS app I wrote that provides a web interface and JSON based API for controlling LIRC, an open source project that lets you control IR devices from the command line. I built lirc_web to run on a RaspberryPi along with an expansion board I designed so that anyone could build their own fully customizable universal remote that is controllable via a web interface from any web connected device (phone, tablet, laptop, smart watch, etc). In v0.0.8 I’ve added two new features - macros and repeaters. Macros make performing common multi-step tasks simpler. In addition, Macros are exposed via the API, which means you can execute macros by sending an HTTP request from a growing number of internet of things or web connected devices. For example, you could adjust the volume of the TV from your Pebble watch or change the TV channel by waving your arm while wearing a Myo armband. The macros key is an object of keys (labels) that are set to arrays of [remote, command] pairs. The remote and command strings should match what is defined in the LIRC configuration file. A small delay is introduced between each command to ensure they are all received. After you create or change anything in config.json, you will have to restart lirc_web. Afterwards, you’ll see your macros listed at the bottom of the user interface. Repeaters are a type of button that repeatedly send it’s command as long as it is held down. The use case for a repeater would be a volume button that should continue to change the volume as long as it’s pressed - rather than needing to tap it many times. Similar to macros, the name of the remote and command must match the names you gave these commands in the LIRC configuration file. If you want to change the name of a button, update the LIRC configuration file and restart LIRC / lirc_web. I’ve found these two features make the Open Source Universal Remote significantly more useful for common tasks. If you have any suggestions for new features or ideas on how to improve the project, please share your ideas in the comments. Previously, I discussed how I built an open source universal remote using a RaspberryPi, an expansion board, and a NodeJS web application. This device allows me to control any infrared device in my home from my phone, smart watch, laptop, or other web connected device. I use the remote daily, and it’s sparked my curiosity to devise new ways of enhancing my environment with internet connected devices. In this post, I’m going to cover a new project I recently finished - creating a device that monitors a washer or dryer and sends a text message when it detects that a load of laundry has finished. Beyond the novelty and simplicity of receiving a text message when the laundry is done, I built this device for two reasons. First, I wanted a project that introduced me to accelerometers - a sensor I’ve wanted to work with. Second, I wanted to take another stab at applying the principles of progressive enhancement, a web software concept, to the physical world. I wanted to see if I could apply the concept of progressive enhancement to the physical world by enhancing an existing appliance (in this case, a washer or dryer) with new digital functionality - without modifying it’s existing form or interface. I wanted the appliance to look and behave exactly as it did before the modification, and I wanted no visual evidence that my device had been installed. After some brainstorming, I came up with an approach that met my goals. Read on to learn how I build it, and how you can build one yourself. At a high level, the project works as follows: a 3D printed enclosure magnetically attaches to the outside of the washer or dryer. Inside the enclosure is an Electric Imp microcontroller and an ADXL335 accelerometer. The accelerometer measures the vibrations of the washer and dryer. The microcontroller has firmware on it that samples the accelerometer, processes the output, and periodically sends a computed result to a server in the cloud. The server receives the output and runs an algorithm that determines whether the washer or dryer is currently running. Once the server has confidently determined that the washer or dryer has finished running, it sends an SMS (using Twilio) to one or more predefined phone numbers. I’ll end with a conclusion and some closing thoughts. 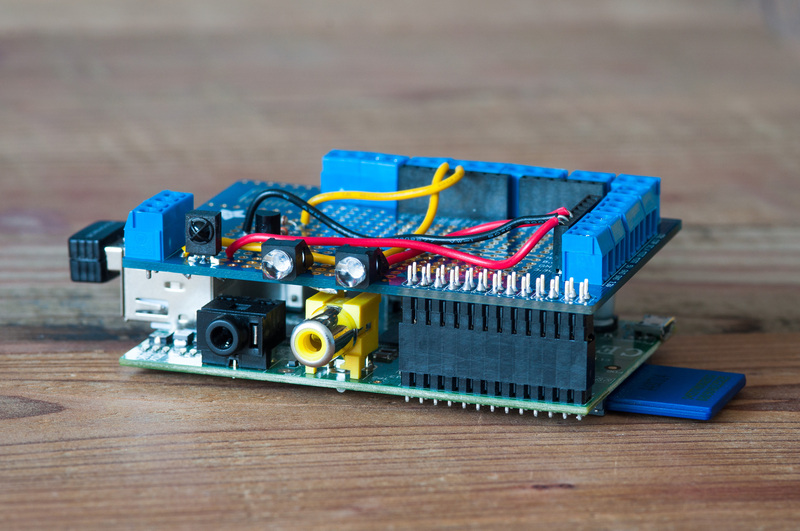 For this project, I chose to work with the Electric Imp microcontroller. 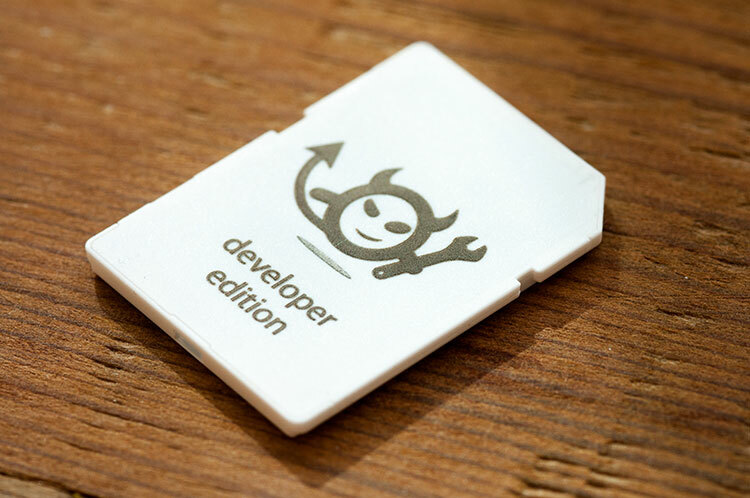 The Electric Imp is a microcontroller in the form factor of an SD card with a 32bit Cortex M3 processor. What I find most interesting about the Electric Imp is that it also includes an 802.11b/g/n chip, making it one of the smallest WiFi enabled microcontrollers I’ve found. I also used the April development board, a breakout board from the Electric Imp team, which breaks out the pins on the imp and provides a mini USB connection for power. You can see that development board, a green circuit board, in the image beneath the “Hardware” header. Configuring the Electric Imp with your WiFi credentials is done through a clever process called BlinkUp. The Imp itself contains a phototransistor, which enables you to program your WiFi credentials optically, via an app on your Android or iOS device. 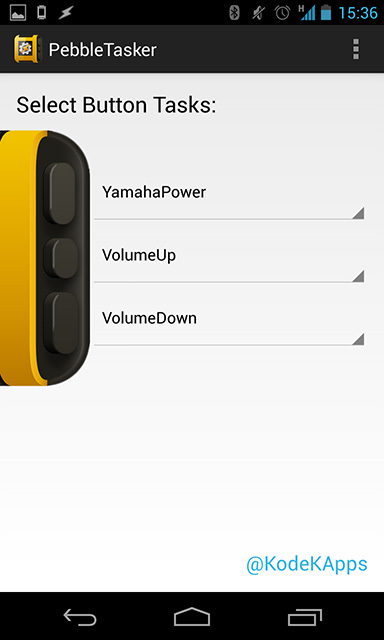 Once you install and configure the app, the display on your phone strobes in a pattern that the Imp recognizes, which programs the WiFi credentials into the Imp. The process only takes a few seconds, and it worked flawlessly for me the first time. Once you’ve programmed your WiFi credentials onto the Imp, it will automatically connect to the Electric Imp cloud service. From there, you’re able to login to the web based IDE and program the imp via your web browser. The IDE handles deploying code updates to the device, as well. I’d like to see a GitHub integration, which would provide version control, so hopefully that’s on their roadmap. For the accelerometer (the component that measures the vibration of the washing machine / dryer), I chose the ADXL335. 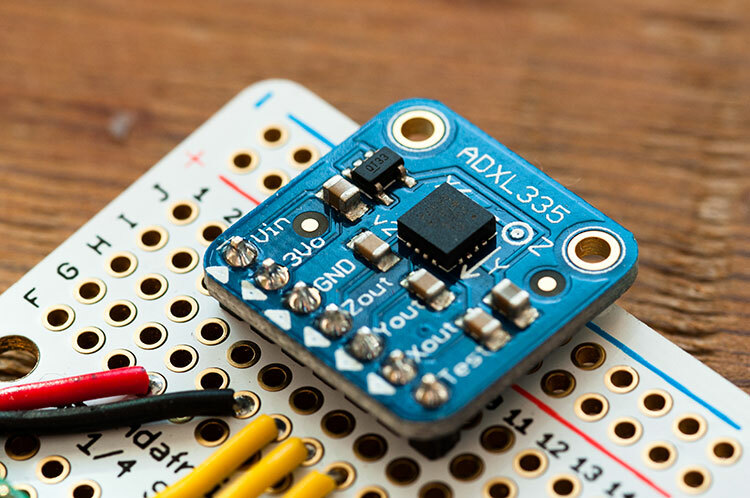 The ADXL335 is a 3.3V analog accelerometer sensitive to +- 3g. The device itself is widely used, and I found plenty of documentation online. In addition, Adafruit sells a breakout board (listed above in the bill of materials) that made including the device in my project an easy decision. 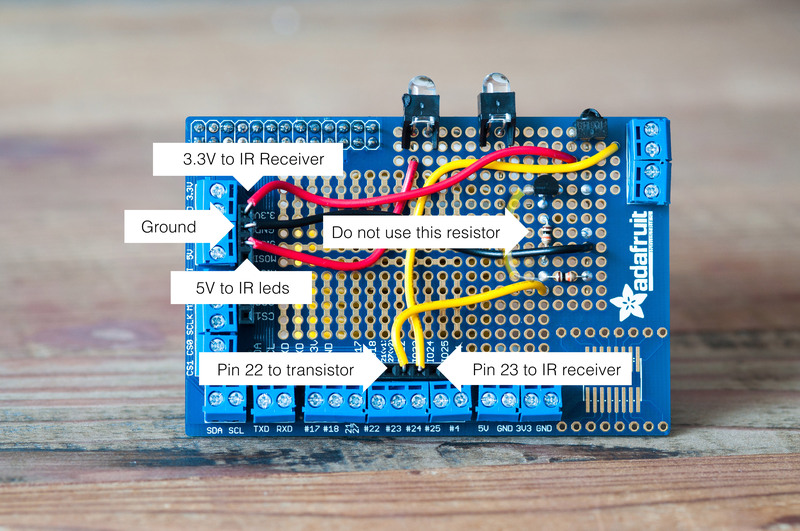 The breakout board that Adafruit sells also allows you to connect the accelerometer to a 5V microcontroller, such as an Arduino. The assembly of the device is relatively straightforward. 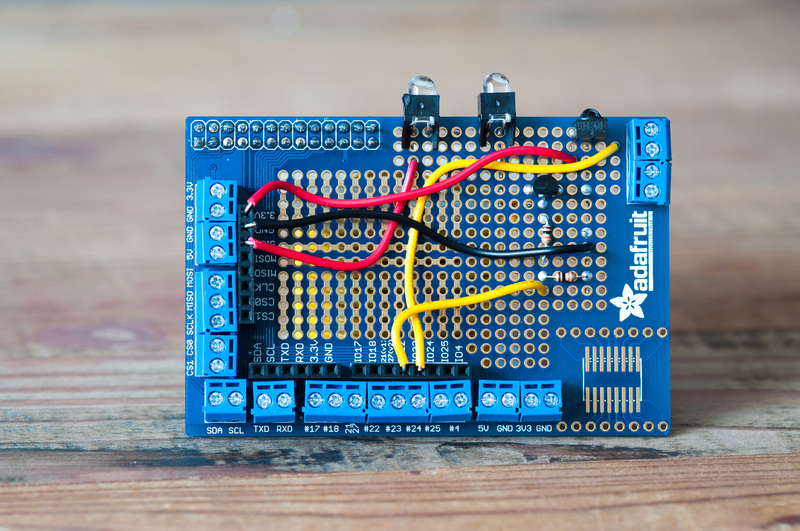 First, you will need to assemble the April development board and the ADXL335 breakout board by soldering the header pins onto the breakout boards. Next, you’ll need to solder both breakout boards into the perma-proto board. Lastly, you’ll solder in the 5 wires to enable the two components to communicate. 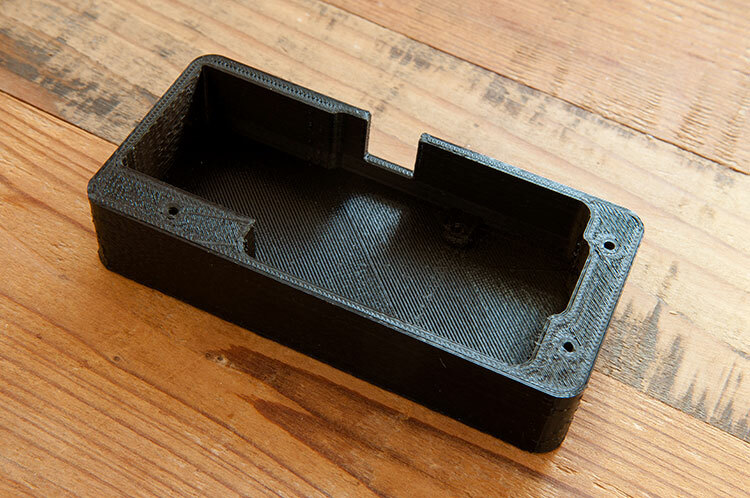 If you intend to use the 3D printable enclosure, please ensure that the two components are mounted identically to the image above. Pin 1 from Electric Imp is connected to the X-out pin on accelerometer. Pin 2 from the Electric Imp is connected to the Y-out pin on accelerometer. Pin 5 from the Electric Imp is connected to the Z-out pin on accelerometer. 3V3 pin from Electric Imp is connected to the Vin pin on accelerometer. GND pin from Electric Imp is connected to GND pin on accelerometer. 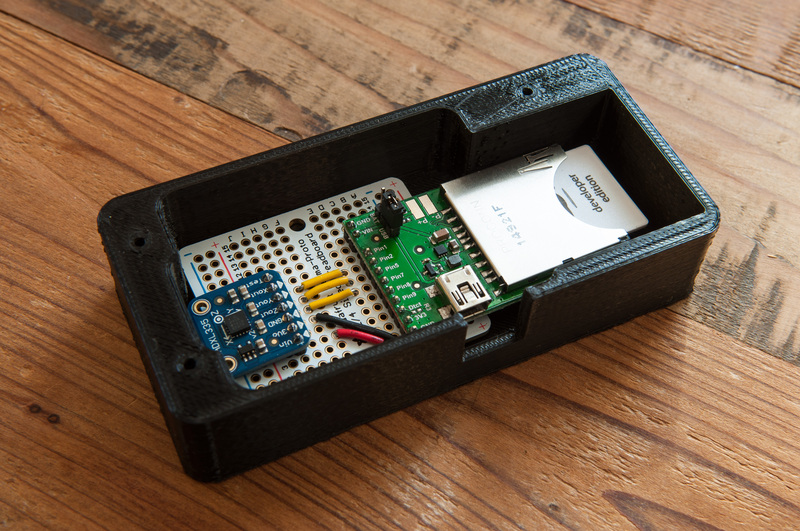 For this project, I wanted a custom enclosure that would enable the device to be sealed from dust and debris. 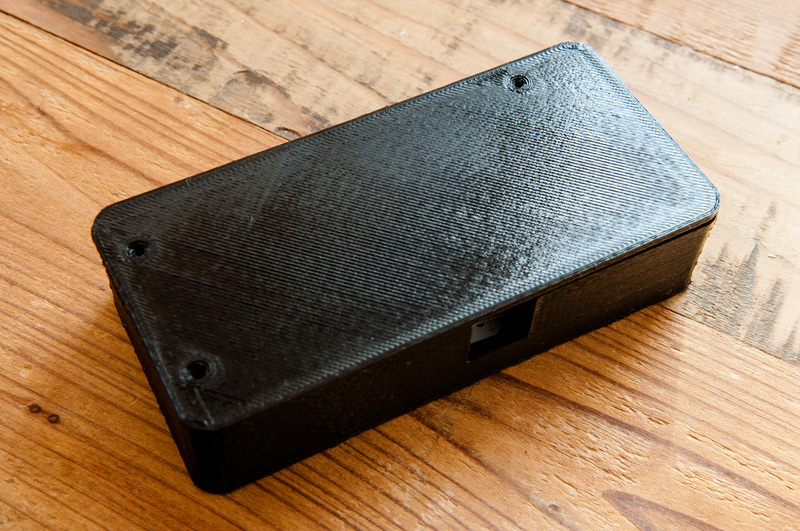 I contacted a friend of mine, John Steenson, who agreed to help me design a 3D printable enclosure for the project. He has agreed to let me post the STL files for the case, which you can download and have 3D printed yourself. I had my case printed from a local printer that I found on the 3D Hubs service. I had a great experience with 3D Hubs, and highly suggest it if you’re trying to find a local 3D printer. The above photos show the device mounted in the case (with and without the lid). Inside of the case, but beneath the device, I have attached (with two sided tape) the two rare earth magnets. I then placed a thin sheet of plastic between the magnets and the device to ensure there is no chance of electrical short. I have not found that the magnets interfere with the device in any way. The two magnets are what enables the device to attach to the washer or dryer. All part numbers are from McMaster-Carr. Per my friend John, quantities noted are the quantities required for assembly, not package quantity. You’ll have some extra parts, but they’ll probably come in handy for future projects down the road. When writing software for the Electric Imp, you write two programs. The first program, called the “Device”, runs on the Electric Imp hardware. The second program, called the “Agent”, runs on the Electric Imp cloud. The Agent has the ability to send and receive HTTP traffic, making it a perfect candidate for the Twilio API, a RESTful API that allows you to send SMS messages. 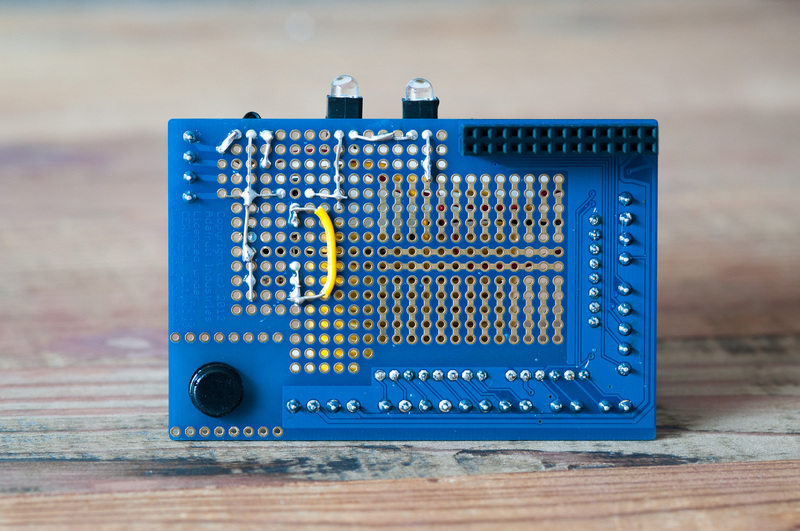 For this project, the Device samples the accelerometer 50x a second. I found this to be frequent enough to get a clear picture for how much the washer or dryer is vibrating. For each sample, I determine the magnitude of the accelerometer vector and compute the percentage of change against the previous sample’s magnitude. I track the amount of change over 5 seconds (250 samples), and return that value to the Agent. In my testing, I found that the average reading when the machine was turned off to be between 100 and 250. When the washer or dryer are running, I find the samples vary between 275 and 6000 depending on what stage of the cycle the machine is in. The Agent receives the total amount change over the past 250 samples, and compares that against a threshold to determine if the machine is ON or OFF. If the value is above the threshold, the device is experiencing enough vibration where it’s safe to call the machine ON. In my testing, I found 280 to be a good threshold to determine if the washer or dryer was running. Once the Agent receives N consecutive samples above the threshold, it enters the RUNNING state. Then, at some point in the future, once the Agent receives M consecutive samples below the ON threshold, it returns to the OFF state. These delays help take into account lulls in vibration during a typical laundry cycle (ex: filling the washer, rinse cycle, draining the washer). Depending on your appliances, you may need to adjust the thresholds in the Agent to reduce false positives. Finally, when returning to the OFF state, if the device was in the RUNNING state, an SMS notification is emitted (via Twilio) to each phone number stored in the phoneNumbers array. If you’d like to read more about how to process the data coming off an accelerometer, I found A Guide To using IMU (Accelerometer and Gyroscope Devices) in Embedded Applications to be an extremely informative read. Note: The Agent code requires you to setup a Twilio account and enter your Twilio credentials before you can send any messages. Twilio, at the time of writing this article, charges $0.01 per text message. At the rate I do laundry, it should cost < $2 a year to send these text messages. Note2: If you would like to log all of your data to a persistent data store (either to show on a web page, or just to analyze output), Firebase is a great option, and they have a free tier. Just change logToFirebase to be true and enter your Firebase URL if you want to enable this feature. You may also view this code on GitHub. // Is there enough accelerometer activity for the device to be considered ON? // Has the device been off for long enough to be "done"? // Was the device previously running? // This means that the laundry had been running, and is now done. // Send an SMS to each phone number in the phoneNumbers array. After loading these two pieces of software onto the Electric Imp (via the web IDE), you should be ready to install the device in your home! Installation is simple - just magnetically attach the device to any metal service on the washer or dryer. Give it a whirl by doing a load of laundry and watching the log files (via the web IDE). If all goes well, you should receive a text message a few minutes after the load of laundry completes. I set out to build a minimally invasive device that progressively enhanced an appliance into the digital age, which didn’t physically modify the appliance in any way. During the project I had the opportunity to work with a few new technologies - the Electric Imp, an accelerometer, and 3D printing. All in all, I’d say the project was a success. The device is currently hooked up to my washer, and it works well in it’s current state. This project came out of a (relatively) trivial need - to know when a load of laundry is done when you aren’t in close proximity to the washer or dryer. I thought it would be clever to receive a text message when the laundry is done, since all phones support SMS and Twilio has made interacting with SMS easy. This also gets around the need to download or install a native app on your phone. I do recognize there are other approaches to solving this problem - monitoring the power output of the appliance, listening for the buzzer with a microphone, or placing a photodiode over a “done” indicator - but I ultimately chose the accelerometer because I wanted to gain experience working with the sensor. Adding a battery, to make the device portable. 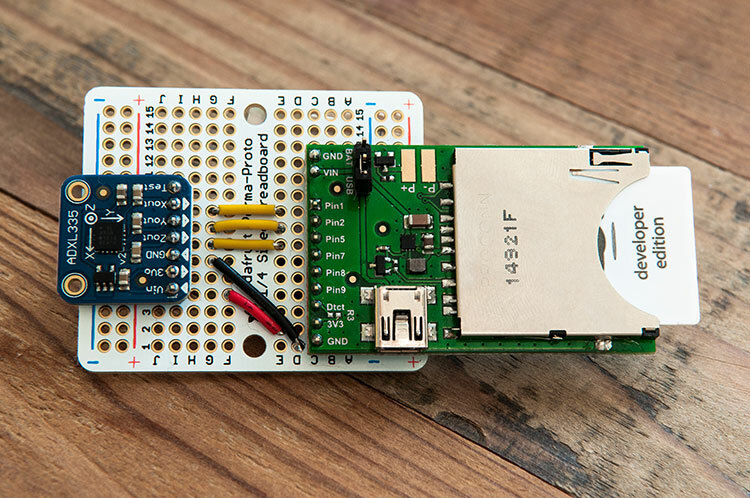 Swapping out a WiFi chip for a GSM chip, allowing you to take the device to a laundromat. Designing a custom circuit board, to dramatically reduce the size of the device. Creating a waterproof (and heat tolerant) device/enclosure so you can place the device inside the washer/dryer. This would be more secure than leaving a device on top of a machine. Hopefully you found this post helpful if you’re trying to implement a similar device yourself. If you have any questions, feel free to ask in the comments. If you’re interested in having one of these devices for yourself, but don’t want to build one, send me an email at alex@alexba.in and we can work something out. In this post I will cover how to start a NodeJS app (lirc_web) when a RaspberryPi boots up. This ensures that if the RaspberryPi ever loses power, the lirc_web app will restart when the system comes online. lirc_web is an open source NodeJS app I wrote as part of the Open Source Universal Remote project. If you’d like to learn more about the project, please check out Open Source Universal Remote - Parts & Pictures. Note: Not all mobile devices support .local domains. You may still need to connect via IP. After the RaspberryPi boots back up, you should be able to connect to the RaspberryPi via hostname (http://universalremote.local) or IP. You can verify everything works by opening http://universalremote.local:3000 (or the RaspberryPi’s IP address) in your web browser. You should see the lirc_web web interface. If you run lirc_web by itself it creates a basic web server on port 3000. This is fine, but it’s more convenient when an web application runs on port 80, the default port for web traffic. We’ll use the free and open source NGINX web server to accomplish this. When this completes, confirm everything installed correctly by trying to access http://universalremote.local in your web browser. You should see a “Welcome to nginx!” web page. Update November 11th, 2013: Save this configuration data in a file called /etc/nginx/conf.d/open-source-universal-remote.conf. Nginx will automatically detect this file once you restart it. Restart nginx to pick up the new configuration file with sudo service nginx restart. Now, if you visit http://universalremote.local in your web browser you should now see the project running. In the future, any time you reboot the RaspberryPi lirc_web will start automatically. If everything went smoothly you should now have a daemonzized version of lirc_web running on your RaspberryPi, which is being served via nginx over port 80. In addition, any time you restart your RaspberryPi the lirc_web app will start up at boot. I’ve updated the lirc_web project (available at http://github.com/alexbain/lirc_web) to v0.0.5. This version fixes a bug related to the swig npm module that was causing an error when trying to view the project in a browser. Please let me know if you encounter any other errors! This past weekend I converted my Open Source Universal Remote breadboard layout into a more permanent soldered circuit. 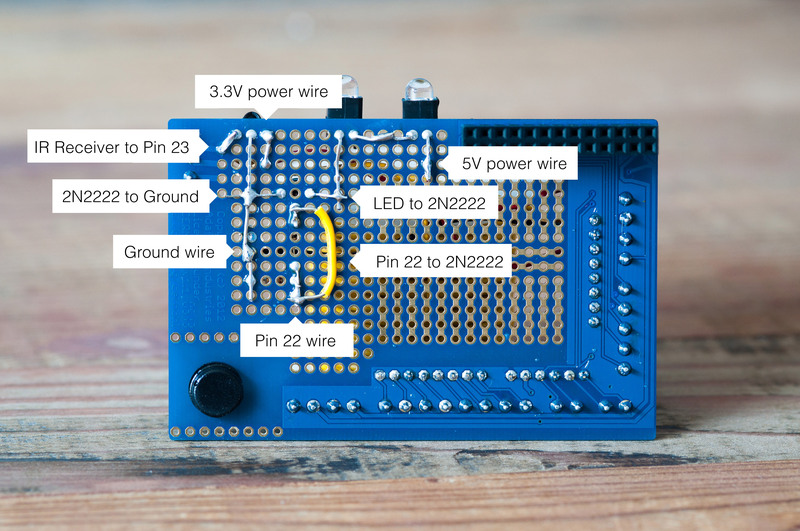 I used the Adafruit Protoboard as a base instead of having a custom circuit board printed, which worked out well. The protoboard is perfectly sized for the RaspberryPi and I highly recommend it for any RaspberryPi related hardware projects. Below, I’ve attached some high resolution photographs of the finished protoboard (front and back). I’ve also created separate versions of the photographs which are fully annotated and explain how all of the components are laid out. Please note that I did make one miscalculation in my circuit which I have corrected with a yellow jumper wire. I’ve pointed out the miscalculation on both annotated photographs. All pictures link to a full resolution image (10+ megapixel) which provides plenty of additional resolution for examining the circuit. The annotated photographs should help fill in anything that is unclear. If you have any questions, please leave them in the comments. I frequently need to jump from the terminal to Finder in OSX. Turns out there is a very easy way to do that, which I thought I’d log here in case anyone else is searching for how to do this. Simple, right? The more you know. For a bit of backstory, around eighteen months ago I decided to start experimenting with and teaching myself electronics. I started working with an Arduino Uno and eventually moved to a RasperryPi. I wanted to build open hardware, open source, web connected devices and these seemed like the right tools for the job. I wanted to ensure that every device I built could, down the road, be controlled in entirely new ways with novel human computer interfaces like the Pebble Watch, Thalmic Labs Myo, Emotiv EPOC EEG Headset, Leap Motion, Google Glass, and others. So, after some consideration, I chose to build a RaspberryPi powered device that controls all of the infrared devices in my home. This project has turned into the Open Source Universal Remote, an open hardware/open source device you can make yourself with a RaspberryPi and $10 of electronic parts. This post will discuss how I wired up my Pebble Watch to control my Open Source Universal remote using my Android phone. User taps button on Pebble Watch. Pebble Watch tells Android phone that a button has been tapped. 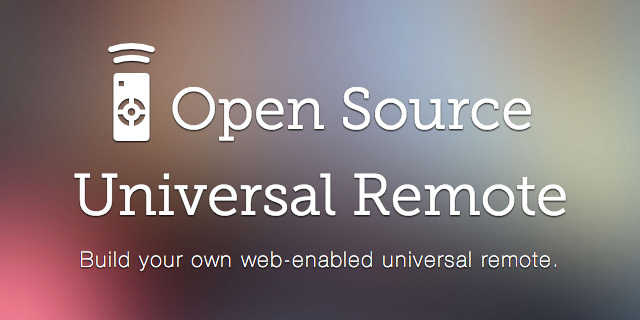 Android phone makes web request to Open Source Universal Remote API. 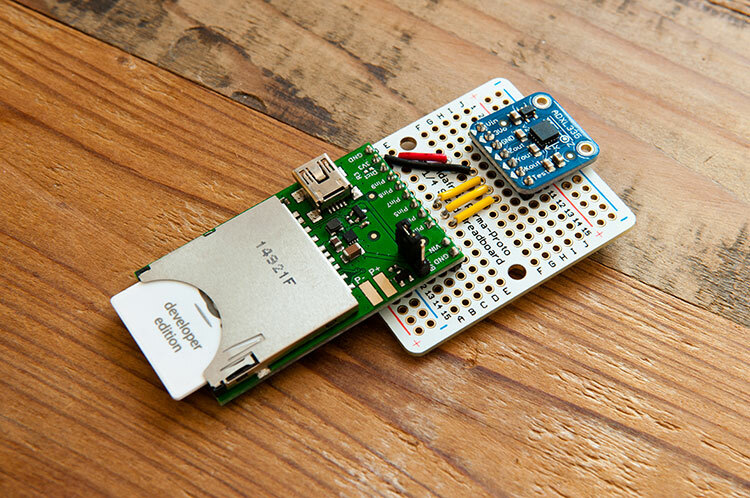 Open Source Universal Remote receives web request and sends out infrared pulses. Home theater device detects infrared pulses and responds accordingly. 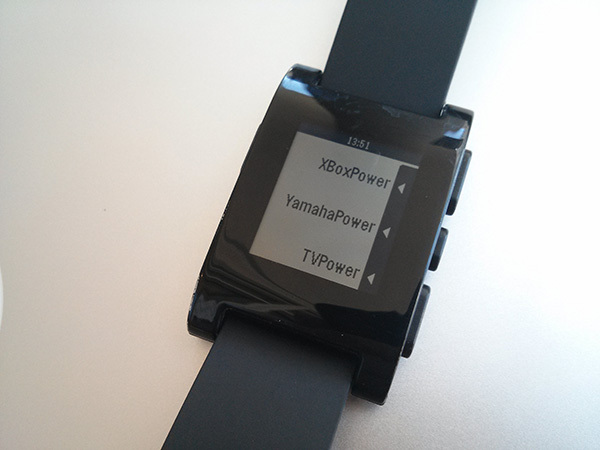 I’ll work backwards from the Open Source Universal Remote to the Pebble Watch. 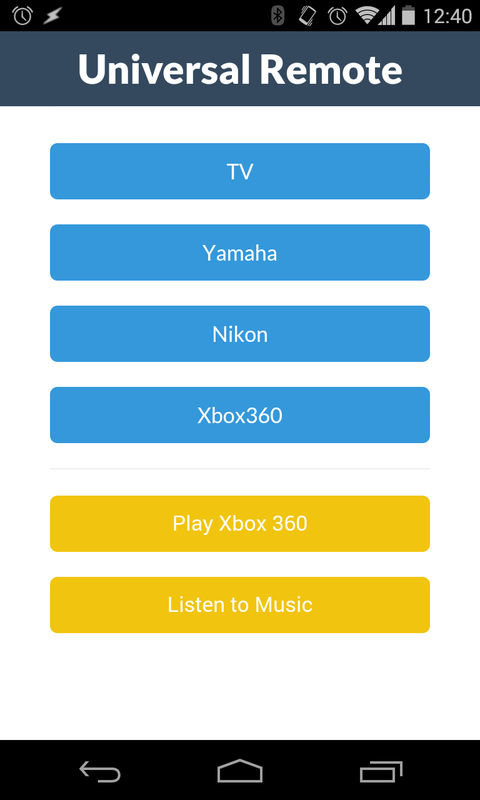 Open Source Universal Remote - The open source universal remote home page. This is an overview of the project and how it works. RaspberryPi QuickStart - A guide I wrote to purchasing and doing the initial configuration on a RaspberryPi. Controlling LIRC from the Web - How to install and configure two open source projects I wrote (lirc_node and lirc_web) to enable you to control LIRC from the web. Open Source Universal Remote - Parts & Picturse - Finalized parts list and build pictures from a protoboard I soldered together. You could get clever and use the hostname of the open source remote, I’m just using the static IP address here. The second component of this project is an Android phone with the Tasker app installed on it. Tasker is a great app that provides a rich way to control your Android phone. One of the functions is the ability to send HTTP POST requests to specific URLs, which is the feature we’ll be using for this project. 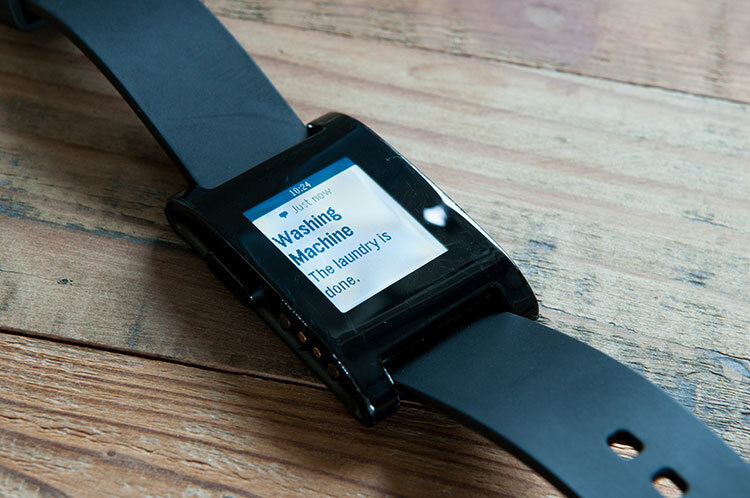 Once you’ve created those three Tasks, you’re ready to setup the Pebble Watch. 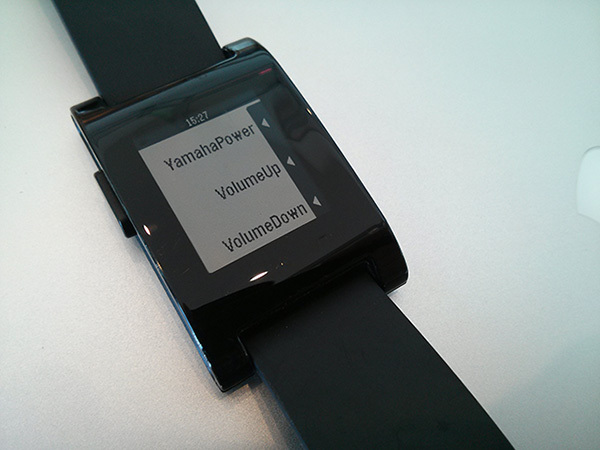 For this project we’ll be using the Android/Pebble combo app called PebbleTasker. This is a very straightforward app. You install the app on your phone, which gives you the option to install the PebbleTasker app on the watch. Once the watch app has been installed, you use the Android app to define which Tasker actions should be assigned to which button. 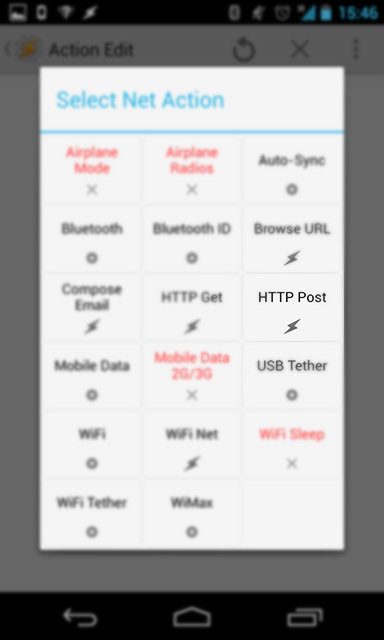 Select the three Tasker actions that you created above and you should be set! Not to wax too philosophical, but I believe that next generation user interface devices like the Pebble Watch have the potential to transform how humans interact with the digital world. The cell phone was revolutionary - it enabled humans to interact with their data while away from a desktop or laptop computer. Now, devices like the Pebble Watch and the RaspberryPi allow you to move beyond the phone and begin interacting with the digital world in an entirely new way. As additional web connected devices are made that control lights, garage doors, cars, appliances, and beyond, the interplay between those devices and user interface devices like the Pebble Watch, Myo, Emotiv EPOC, Google Glass, and others are going to give us new and powerful interactions to control the digital and physical world. These interactions were, until now, the stuff of science fiction. These are exciting times we live in. If you found this post interesting, please subscribe to the RSS feed to receive future updates or share this post with your social network. If you have any questions, feel free to leave a comment or send me an email (alex[at]thisdomain). Tune in next time where I’ll be writing up how to control the Open Source Universal Remote with your mind using an Emotiv EPOC EEG headset.